1. Blend first 3 ingredients in a high-powered blender. 2. Slowly add melted coconut oil to mixture as blender is running. 3. Squeeze juice of 1 fresh lemon into a glass of filtered water. Start with ¼ cup lemon water and slowly add in as blending until desired consistency is achieved. -Citrus squeezers are a must-have for quick, fresh squeezed lemon or lime juice without the seeds! -Raw cocoa powder is a must-have ingredient for creating chocolate-lovers foods without unwanted ingredients. 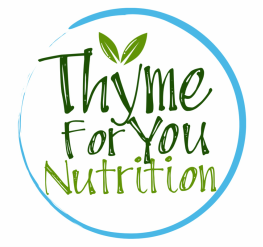 It is a rich source of polyphenols, phytochemicals that help regulate blood pressure, insulin sensitivity and fatty acid oxidation. 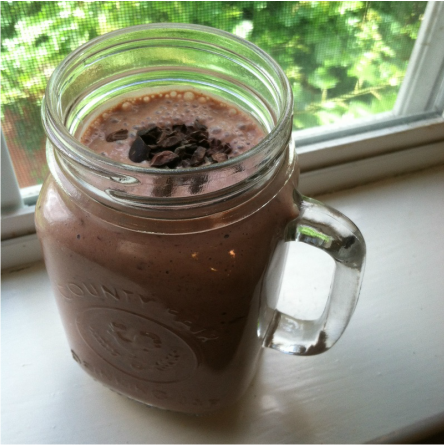 -Top with cocoa nibs (as shown) for an extra polyphenol boost!